Taille de cet aperçu PNG de ce fichier SVG : 800 × 400 pixels. Autres résolutions : 320 × 160 pixels | 640 × 320 pixels | 1 024 × 512 pixels | 1 280 × 640 pixels | 960 × 480 pixels. Vous devez aussi inclure un modèle indiquant pourquoi cette œuvre est dans le domaine public aux États-Unis. Note that this work might not be in the public domain in countries that do not apply the rule of the shorter term and have copyright terms longer than life of the author plus 50 years. In particular, Mexico is 100 years, Jamaica is 95 years, Colombia is 80 years, Guatemala and Samoa are 75 years, Switzerland and the United States are 70 years, and Venezuela is 60 years. 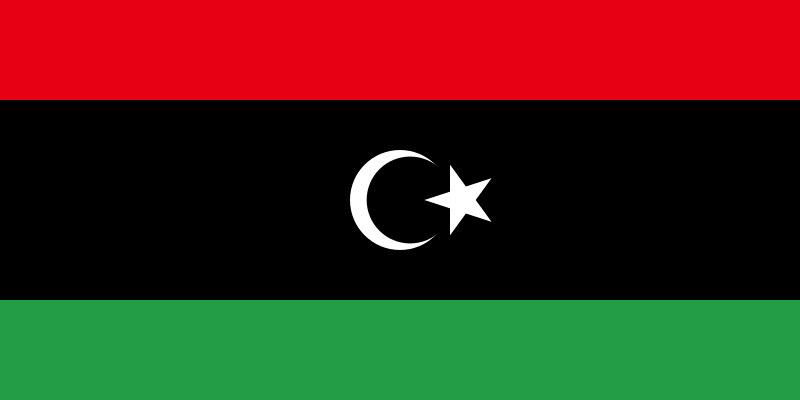 Ce document provient de « https://fr.wikipedia.org/wiki/Fichier:Flag_of_Libya.svg ».